The Excel Hero Academy is a totally unique Excel training program. As a student, you will discover how Excel thinks and how to leverage this into being drastically more productive at work. This can quickly result in promotions, making more money, or being eminently more hirable. Excel is incredibly powerful and vast. The Excel Hero Academy will teach you how to command Excel in a way that you will not find anywhere else. Much of what you know will be turned on its head, because it is counterproductive. In the actual academy, all videos are presented in HD and are actually much larger than this YouTube version. The videos of Excel are crystal clear so that you can follow the action in perfect fidelity. The academy reveals dozens of insights like those in this sample video and then immediately backs them up with practical application that will completely change the way you work. My name is Daniel Ferry and I will be your instructor throughout the entire course. The productivity turbocharged techniques that I teach are the result of 30 years of developing Excel business solutions in the real world. Jorge Camoes even called me an Excel Game Changer in an article at his awesome charting blog, and while that is extremely flattering, I think the larger point is that this course will be an Excel game changer for you! This is a VBA heavy course, but it is not solely focused on VBA. Rather the training interweaves VBA into each and every weekly module, in a very natural fashion. As you probably know, the VBA that the macro recorder churns out is not very good. Although VBA is used to record macros, that is just the tip of the iceberg. Visual Basic for Applications is a full-fledged programming language, capable of controlling virtually every aspect of Excel and Office, with optional hooks into the entire operating system. The potential of VBA is staggering. 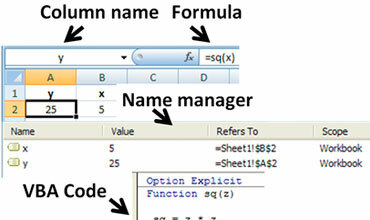 When you can wield VBA at will, you can automate Excel to do your work for you! This 16-week course will teach you to craft proper VBA, including truly understanding and leveraging the Excel object model, modularization, functions and UDFs, classes, branching, looping, and interfacing with external applications such as Access. But this is not a theory course, it’s hands-on, applied learning focused on business solutions including extraordinary Dashboards and other methods of reporting. Heavy emphasis is on database functionality both by using Excel exclusively, and with using Excel as the front-end to a real database. We will push Excel hard, seeing just what is possible without any VBA coding at all (a fun example of this is my Excel Chess Game Viewer), but then Discovering the Next Level of power and the universe of possibilities that VBA brings to the table. Every module lasts one week and has engaging homework. 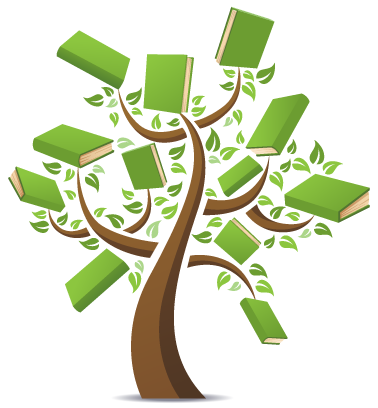 The academy is very much a community affair and you will be able to share your completed homework on a Homework Wall for each module. This allows all students to learn from your work and allows you to learn from theirs. This interactivity is extremely valuable to your learning process. After every three modules, we will take one week to review the previous three modules. Trust me, you will need this time. The information is extremely abundant and it takes time to absorb properly. During the review weeks, you will be presented with relevant (and tough) Excel Challenges that will help solidify the content. The Excel Hero Academy has a very active community Forums system, a place where the students can discuss, exchange ideas, help each other, etc. We also have a live chat room. The modules include dozens of hours of potent video. These are broken into manageable module segment videos that average about 20 minutes in length. Each module has at least three videos with many having more. In addition the course includes many custom Excel and VBA tools that I have written exclusively for the class. These tools become yours to use as you like (except for resale) as part of the tuition. Everything in the course is designed to allow you to get inside my head, to see first hand how I approach Excel solutions, and how to bring it all together to form interactive applications with spectacular results. I would have paid 10 times the cost of the tuition, personally, if I had that sort of opportunity decades ago! Actually… none. The course is definitely not for Excel beginners. But if you know your way around Excel, know what a formula is and how it is different than plain text, and if you are intelligent, then you are good to go. You do not need to be an expert to enroll in the academy, but you will be an Excel Hero in 16 short weeks when you do. But what about VBA? I would say this… The academy is designed for someone that knows of VBA, but not necessarily how to do much with it. At the same time it is designed for those that know a lot about VBA. My approach to teaching VBA will work quite well if you are in either group or anywhere in between! Excel Hero Academy tuition comes with a 30-Day, no questions asked, guarantee. I firmly believe that your decision to enroll in the academy will prove to be a remarkable moment in your life. It will transform the way you approach business tasks. But if you decide for any reason that it was not for you, just send me an email during the first 30 days and I will gladly refund 100% of your tuition. Even though the Excel Hero Academy is just 16 weeks in duration, you will have full, unrestricted online access to all 16 weeks of materials for 24 weeks; that’s a full 6 months! Applications that are built throughout the course (including the dashboards) are yours to keep forever. While I wish I could offer formal accreditation, all students that complete the course will receive an Excel Hero Academy Certificate of Completion, with the hours required printed on it, and the date of completion. Absolutely. All of our videos are produced in HD at 1024 x 768, with no panning or zooming. They can be viewed on a computer or on an iPad. If you can view the following video segment, then your computer will work with all of the videos. They are all encoded with the same settings. 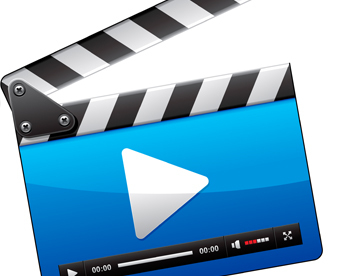 We offer Flash videos for a computer and QuickTime videos for the iPad. The following segment is one of the first from the course that deals with the subject of VBA programming. It is very basic, but allows you to judge the quality. EHA sample for a computer. EHA sample for an iPad. So What’s the Tuition Fee? 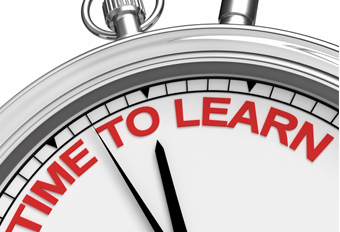 12 modules with dozens of videos, unlimited access during the academy. One or several ready to use examples and tools coming with each module for your own use. Homework and challenges to practice. Forum to post and discuss your homework and chance to see, download and discuss the homework of your fellow students. 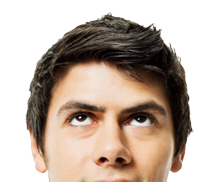 Forum to discuss other related topics with your instructor and fellow students. Interaction with some of the best Excel minds in the world! I am also offering a new Extended Enrollment and Video Download Option. The normal Excel Hero Academy enrollment comes with 16 weeks of instruction, 12 modules, and 6 full months of academy resource access, including video streaming. The New Extended Enrollment Option includes EVERYTHING in the normal enrollment, PLUS the additional benefits described below. that allows for this and at the same time extends your enrollment. With the Extended Enrollment and Video Download Option, videos will not only stream, but will be downloadable when each weekly module is released. The videos will then be playable by you forever. an additional six months to all academy resources, forums, and reference materials for a total of ONE FULL YEAR! Chandoo and I are offering our awesome courses together, bundled at a discount! You can complete both courses from within the Excel Hero Academy! You get everything in EHA Standard Enrollment plus everything in Chandoo's most comprehensive course. You get basic, intermediate, advanced & super-advanced Excel & VBA skills in one neat package. 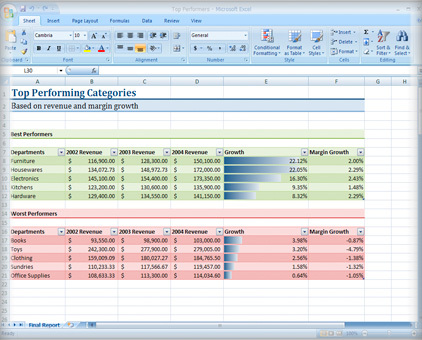 You get more than 50 Excel workbooks and tools to see how its done. 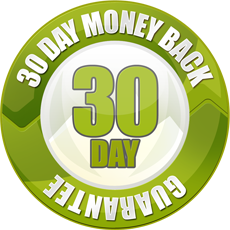 You get 30 day money-back guarantee on the bundle. You get everything in EHA EXTENDED Enrollment plus everything in Chandoo's most comprehensive course. You get full year of access to the academy and both courses! You can download HD quality videos of all lessons and view them, save them and repeat them as you want. Also, if you have a group of five or more, please contact me at the admissions email directly above. Disclosure: The content of this course is engaging, compelling, and totally unique. Please keep in mind that this course is focused squarely on Excel techniques to improve business processes. But sometimes it’s fun to use your new skills to build wondrous creations in Excel. In 2011, Microsoft released a video on YouTube and Facebook to celebrate Excel’s 25th Anniversary. It was just 64 seconds long and showcased how Excel has evolved over two and a half decades. I am honored that the video featured FIVE of my Excel creations. When you complete my course, you will have gained the knowledge required to create these types of projects as well: view video here. My contributions to the video are all the animated charts, the Butterfly, NFL Drive Chart, Aging Population Dashboard, Bubble Graph, and of course the Animated Business Chart (which lingers near the end). Enter your name and email below to stay updated on upcoming classes and events. Be sure to select HD for the clearerest view.